To hear more stories like this and interact with companies such as Zingerman's, Duo Security, Pinterest, Domino's, Google, and more please join us, Friday, November 16, for The Digital Marketing Workshop! Register by October 31 with the code Early for a $10 discount. Gabrielle Miller, student at Eastern Michigan University. She is a senior Majoring in Communications with a minor in Marketing graduating this December. While in the Digital Summer Clinic with Center for Digital Engagement, Gabrielle was a digital marketing intern with the tech start-up TrueJob. Before the Clinic, Gabrielle became involved with CDE for the 2017 Digital Marketing Workshop as a volunteer. She was offered the opportunity to intern as the Winter Manager for CDE. With having some experience with the organization Gabrielle decided to apply for the 2018 Digital Summer Clinic Internship. She was placed with TrueJob. While interning with the Clinic this summer Gabrielle’s goal was to improve on her strengths, which she did in, “web and other performance metrics, sales and marketing, written content, graphics content.” She felt that the internship also helped her grow as a professional. Since the summer, Gabrielle has her plate full. She accepted the Fall Manager for CDE where she is utilizing skills strengthened and learned from the summer as the events manager. She assists in creating awareness for events such as Accelerating the Sales Funnel and Full Stack Customer Experience (on October 26th). 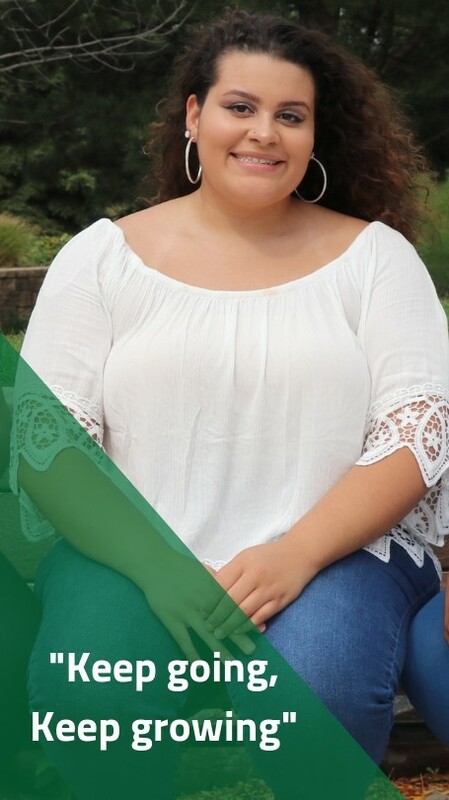 Gabrielle is also the EMU Student Center Marketing Communications Coordinator. "My favorite thing about working at the Student Center is that I get to be very hands-on and involved with my peers, I have nearly complete freedom over events, and social media etc. This allows me to be creative and productive, as the lead of the student center marketing team." As graduation is nearing and with all of the experience Gabrielle has gained this past year, she knows marketing communications/ digital marketing is the field she has a passion for. She is looking at positions and companies to apply to for that will work best for her. "It is an ongoing process, but I know wherever I end up will be just the beginning!"